Author with his second K9 partner. A Coconut Creek Police Department K9 dog has been retired from the force after biting two innocent persons, one an officer. Four-year-old K9 Renzo had only been on the job a year and a half at the time of his dismissal. The circumstances of the bites, as widely reported in the media, shine a light on the subjects of a handler’s judgment and his control of his police dog in public. I am commenting only on the scenarios as documented, not the persons involved, who will not be named here. In the first instance, November 26, 2014, the K9 team was tracking a home invasion suspect around 12 a.m. The handler lost his footing and control of Renzo, who then bit an officer. The officer received multiple puncture wounds. The handler said the dog might have viewed the officer as a threat. If true, this situation is both handler error and unfortunate circumstance. The error of the handler in falling may have been unavoidable. Running around in the dark with a motivated four-legged partner pulling you all over creation can result in the K9 officer going down and losing the dog. If a trailing officer was close, the dog may have seen his or her movement and reacted in defense, hence the unfortunate circumstance. In the second instance, February 11, 2015, the handler was letting a sergeant pet his dog through the open K9 cruiser window while parked at…a donut shop. The dog lunged forward and slipped halfway out the window. After fighting to keep Renzo in the car, the handler lost his grip on the K9’s harness and Renzo charged at officers in the parking lot. As the handler attempted to exit his car, he gave verbal commands to the dog, to no effect. Renzo target-locked on a donut shop employee, who was bitten on the leg. The employee has since retained a lawyer for a civil suit. Again, handler error and unfortunate circumstance resulted in injury. The handler apparently had neither physical nor verbal control over the animal. The unfortunate circumstance was that the K9 did not recall and the donut guy was hurt. Dogs do not always react predictably to complex situations. In this case, the dog had just been the subject of a vigorous tug of war in the car window. When Renzo hit the pavement, humans scattered. This can activate his apprehension training. They are just dogs after all and that is why a handler must have situational awareness and control of his K9 partner at all times. 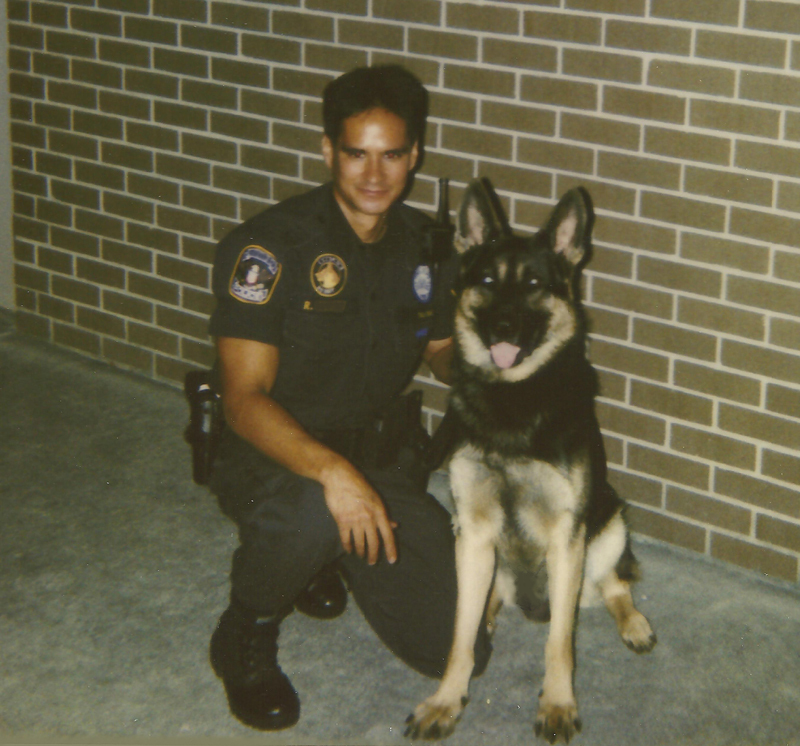 If you do not know me, I was a Patrol/Narcotics/SWAT dog handler for eight years. 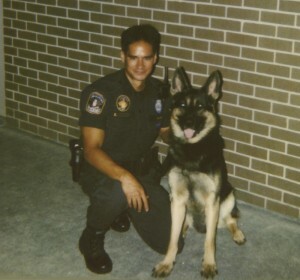 Later, as a sergeant, I supervised our K9 Unit for three years. If these incidents had happened in my unit, I would have questioned the actions of the handler before those of the dog. We are ultimately responsible for the conduct of our K9 partners. Like the Coconut Creek situation, one of my German Shepherd Dogs once bit a bystander. In another case, an officer from a neighboring jurisdiction received a minor nip from one of my K9’s at the end of a vehicle pursuit. Both times, I was called in to explain the details to my unit commander. Both times, the lieutenants decided, based upon the facts and circumstances, that the dog acted as trained and that my conduct was within statute, policy, and common sense. Had my handling been negligent, I would have been sent for remedial re-training and re-evaluation, if not summarily transferred out of the K9 Unit. I would have expected nothing less. It is a serious responsibility to be charged with deploying a police dog on city streets. The safety of citizens, suspects, and fellow officers depends on our vigilant dog handling every second of every day. This entry was posted in K9, Officer Safety, Street and tagged Officer Safety, Police K9. Bookmark the permalink. To me personally, i have no clue how many unfortunate incidents occur yearly with police dogs, but given the nature of their duty and the environs they work in it is probably amazing to me there are not far more incidents than occur now. Greg, thanks for weighing in. While I stressed in the article that we must exercise common sense and control, let us not forget that police dogs in the U.S. are classified as a less lethal use of force. That puts them on par with electronic control devices, batons, and pepper sprays. Yes, I don’t want to see any innocents bitten (or undeserving suspects for that matter), but dog bites are simply tissue injuries. I have been bitten by dogs more than a dozen times. Real bites, not with protective equipment. It is not that bad. If fact, my opinion is that the blunt force trauma from repeated baton strikes results in worse injuries than ones inflicted by a K9. The dog has great abilities that are not replicated by man or machine. I think it a bit harsh to think they need to be “physically chained to its handler” as you metaphorically suggest.